Best known as one half of beloved bass purveyors, Sepulcure, Travis Stewart has spent the last decade-and-a-half churning out album upon album of left-brain techno under an array of colourful monikers. 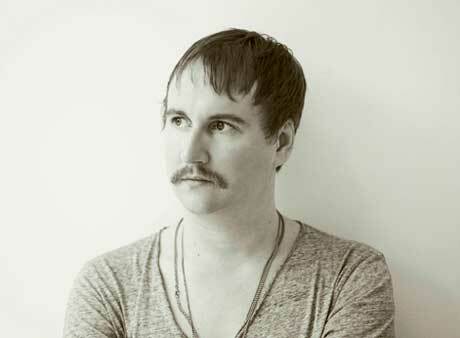 But it's under the name Machinedrum that Stewart has delivered some of his finest and most enduring work. However, throughout his many incarnations and incantations, Stewart has never allowed his musical persona to come off too comfy or predictable. With his recent relocation to the electronic music mecca of Berlin and signing with the legendary Ninja Tune record label, Machinedrum's latest LP, Vapor City, finds the North Carolina native acting as a digital conduit for the unbridled energy and rich musical history occupied by his new and invigorating environs. I heard you moved to Berlin. Can you speak a bit about your experiences and impressions leaving the U.S. for Germany? In my last year living in New York, I found myself broke in one of the most expensive cities in the world. I found myself getting booked more and more in Europe. The shows were bigger, more fun and honestly, better paid. I had friends that lived in Berlin and every time I visited I loved my time and experiences there. The fact that it was so cheap to live there made me quickly reassess my current situation in Brooklyn. Initially it was quite easy to assimilate to the Berlin lifestyle. I found myself going to clubs like Berghain, Panorama Bar, Maria and Horst and absorbing myself in the rich and versatile electronic culture. There is an air of relaxation and overall laid-back nature to Berlin, matched with a creative and artistic grind going on, which I really needed when I moved. Do you currently have a residency at any of the clubs in Berlin? No residencies, although I do frequently play the Leisure System parties and the now-defunct Sub-Stance nights at Berghain and Panorama Bar. Can you talk about how it has influenced your music? Seeing people play extended three-four hour sets in these clubs really inspires me in the way I approach my shows now. Rather than assault you with as many songs as I can in a set, I try to let things blend a bit more and let people's favourite tracks ride a bit longer rather than tease people too much. I think this approach is definitely inspired by sets I have seen at these famous Berlin clubs. I know that there are a lot of electronic musicians, a handful of them being Canadian, who have moved to Berlin from North America, like Richie Hawtin, Marc Houle, Colin De La Plante. Have you made friends with any of these people? None of the people you have mentioned although I am mutual friends with loads of Richie's friends. I have become good friends with Christian XI and Noah Pred from Toronto. Otherwise most of the ex-pats that live in Berlin I already knew quite well before moving there. Which musicians living in Berlin do you consider your friends? I'm good friends with Jimmy Edgar, Scuba, Lando Kal, Chris Clark, Noah Pred, Kuedo and others. Have they, or the city, changed the way you look at or approach your craft? Do you feel that electronic music as an art form is infantilized in North America in comparison to how it's consumed and made in Germany? Not necessarily. I think electronic music has reached a worldwide acceptance at this point that is undeniable. It's become an integral part of modern pop music everywhere. Historically, Germany is definitely richer in club culture and the amount of electronic music that has been made over the past 20 years, but this doesn't reflect the maturity and diversity in electronic culture that has blossomed in America in the past decade. Can you talk a bit about the new album, Vapor City? What is different about it than your last LP, 2011's Room(s) and EP, 2012's SXLND? Vapor City is essentially a more refined version of a new approach I've been taking to writing and producing music in the past few years. With Room(s) I was experimenting with writing songs and getting ideas out as quickly as possible. I was trying to avoid over-thinking my productions and focused on tapping in to inspiration from an immediate, otherworldly and supernatural place. Can you talk about the concept behind it? The Vapor City concept is based on a recurring dream I was having before I moved to Berlin. I kept revisiting the same city over and over again in my dreams. I saw the same districts, buildings, clubs, restaurants and even amusement parks. I decided to make a soundtrack to this imaginary city and the result was Vapor City. Have your dreams about Vapor City continued after you started to write and record the album? Did your dreams change after that? I had the dreams while I was writing the album and in between moving out of Brooklyn and moving in to Berlin. After I got settled in Berlin the Vapor City dreams pretty much immediately stopped. Considering that the concept behind the album is so detailed, is there any plan to turn it into a multimedia project? The live show is more or less a multimedia version of Vapor City. I'm working with a visual artist called Weirdcore that is putting together his own visual representation of Vapor City, district by district. There are plans to do more installation-type projects along the way as well. The website will also be quite interactive as well. How did you hook up with Ninja Tune? Ninja Tune reached out to me last year about working with me. I had already been fully invested in working on Vapor City at the time. I'm super excited about the amount of support that Ninja Tune has given me to fulfill my vision and concept. They have given me more freedom to do what I want than any label I've ever worked with before. Perhaps more than anything else you've released before, Vapor City feels like it's influenced by '90s Ninja Tune and Warp artists. Have you been going back and revisiting this stuff of late? Yes definitely. I've been revisiting a lot of my older influences in the past couple of years, although I'm not sure exactly why. Maybe in order to stay fresh I needed to stay in touch with where I've come from to understand where I am at now. Can you talk about your success with Sepalcure? Sepalcure was definitely an eye-opening experience. It was meant to be just a fun experiment in making so called "bass music" that we were listening to at the time. Our experiments lead to a different kind of approach with my own solo productions. I had so much fun trying to make music that not only worked in the club but also at home that I tried to stick to that as an ethos of sorts. As long as Praveen and I are friends, Sepalcure will remain to be an ongoing collaboration.